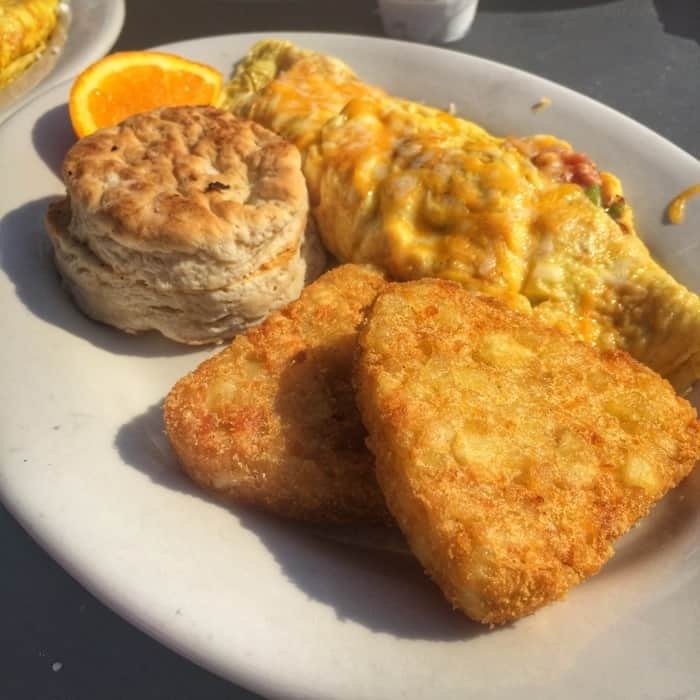 One of my favorite experiences during my visit to Daytona happened in nearby DeLand located 30 minutes from Daytona Beach. 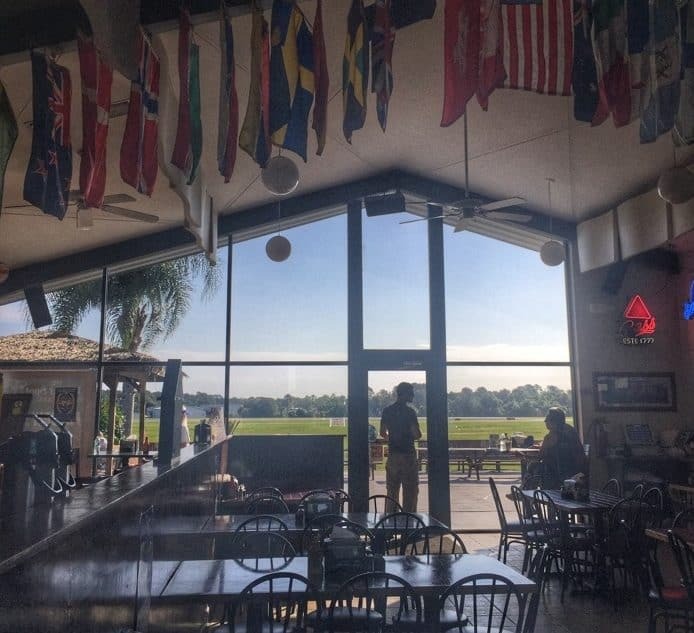 It turns out that DeLand is known all over the world as an incredible place to skydive. 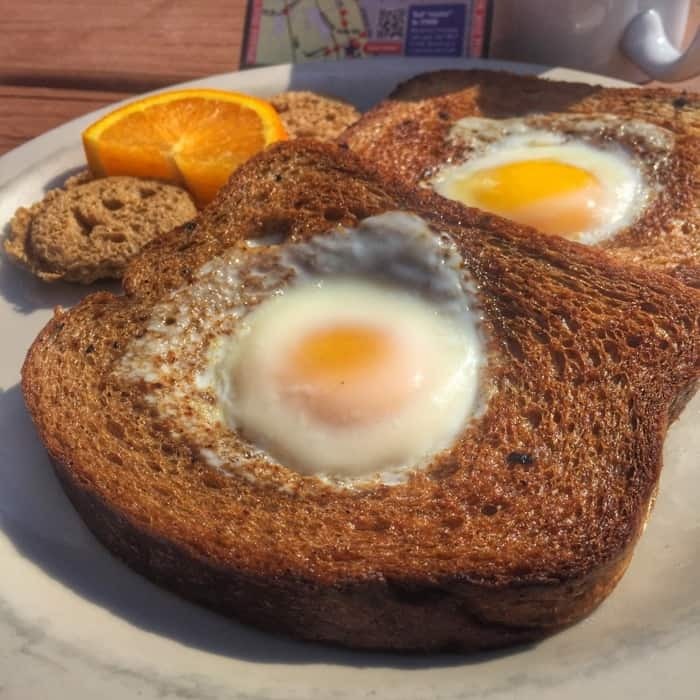 We ate breakfast at The Perfect Spot Restaurant and Bar. 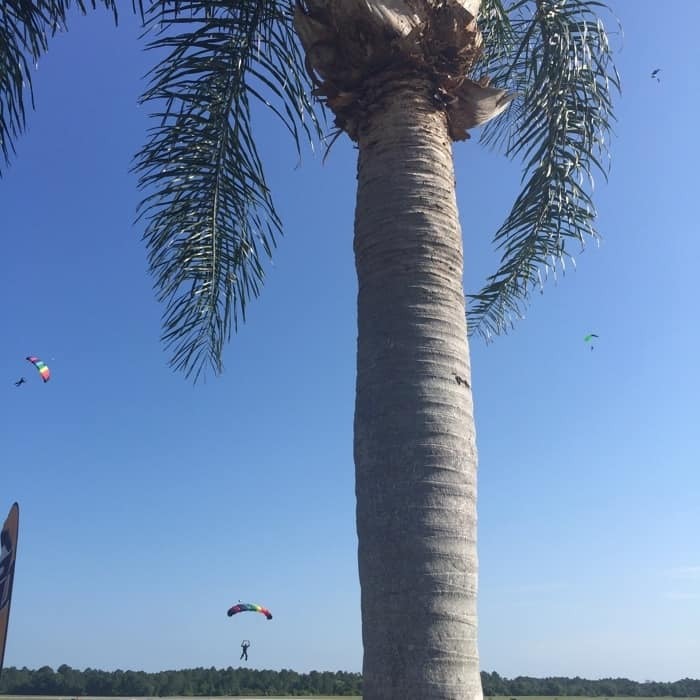 It was the perfect spot to watch all of the skydiving in action! 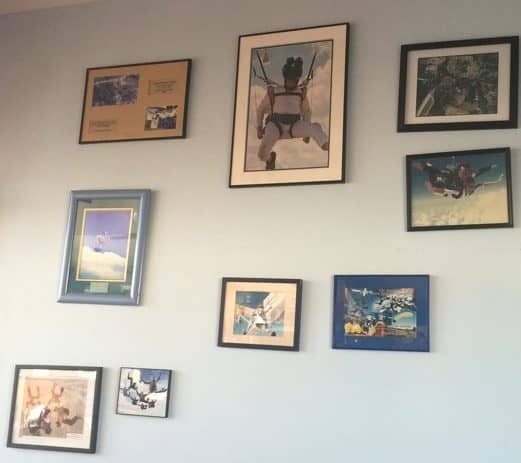 The decor is filled with inspiring pictures of skydivers on the wall along with footage on the tv from the most recent skydives. 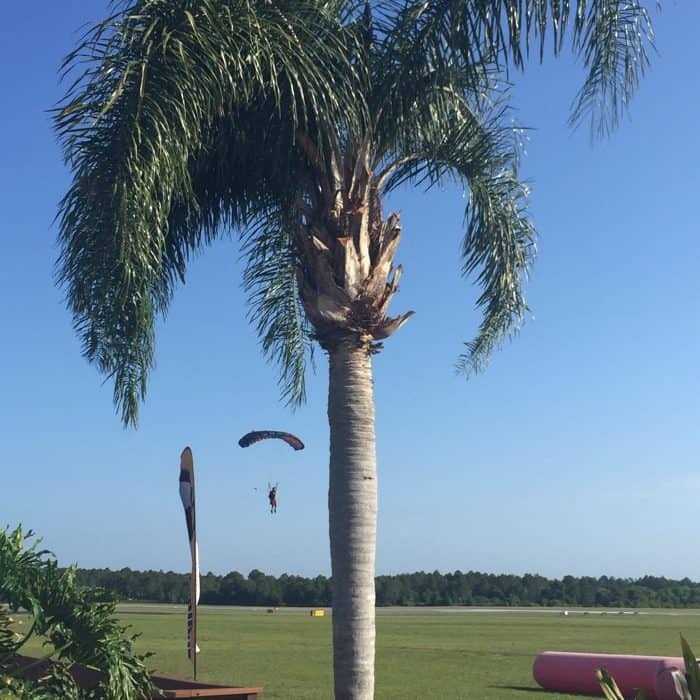 Skydive DeLand is open 365 days a year with jumps 365 days a year, as long as the weather permits. Your best chance to see skydivers is early morning. 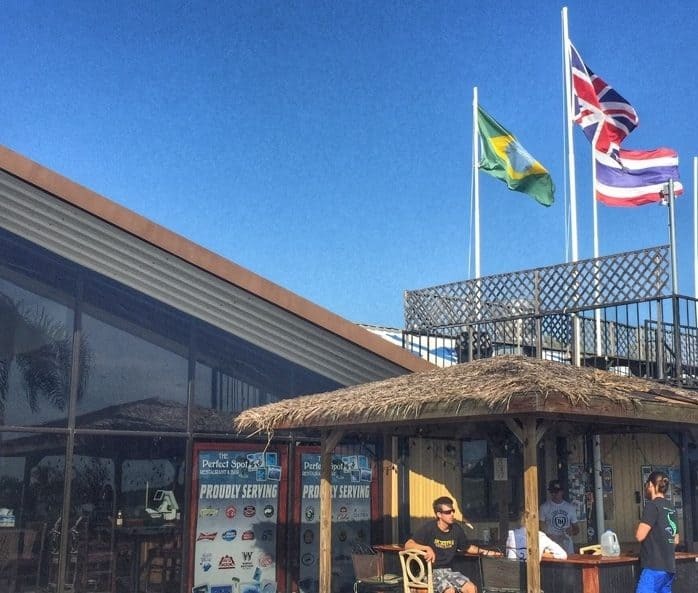 We didn’t know if we would be fortunate enough to see skydivers landing during our meal. We were told that it can be hit or miss due to weather and wind. We started to eat inside but we decided to move outside after we caught a glimpse of someone landing. We ended up having the privilege of watching multiple skydivers land right in front of us that day. Skydivers typically jump from around 14,000 ft. in the air and reach an average speed of 120 mph. I’ve only indoor skydived, but our visit definitely inspired me to consider the real thing. 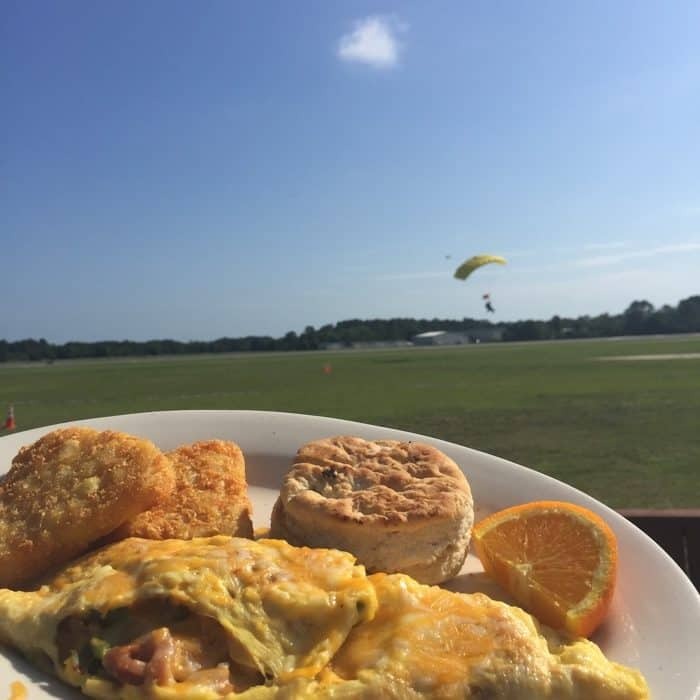 While we were watching the skydivers, I ordered a western omelet for breakfast served with “fast browns.” Another fun menu item is the “Cradled” eggs which play on a skydiving term. Our group watched several skydivers that morning and even got to talk to Gabrielle, who we met after her landing as she prepared for another jump. 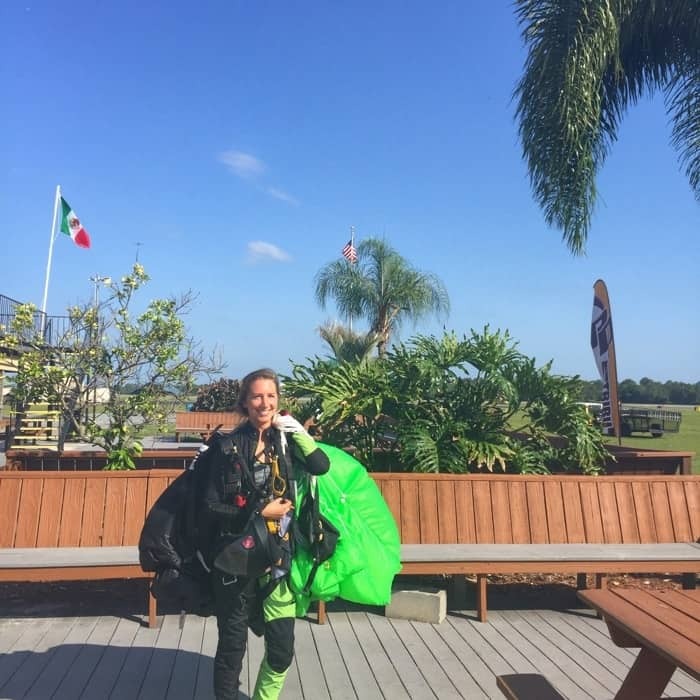 She has taken over 250 jumps which she said made her newer to the sport. 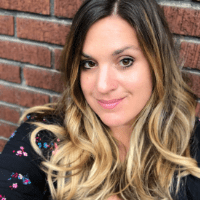 Her first jump was tandem with some of her family members and she loved it so much that she continued pursuing her passion for skydiving. 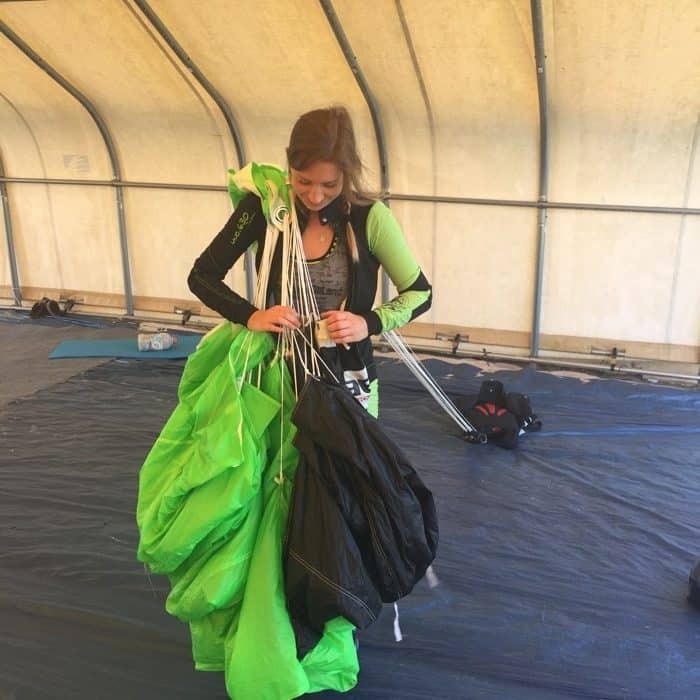 What’s encouraging is that she was really scared about her first tandem jump and now she makes skydiving look easy. 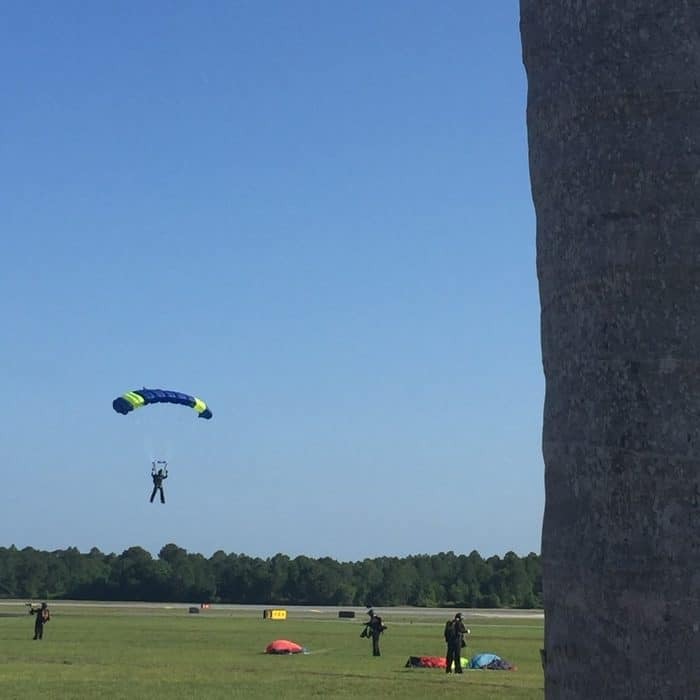 If you get inspired to take the plunge yourself, you can sign up to skydive tandem or take classes to be able to jump on your own, along with specialty classes. There is also a gear store with everything that you need if you decide you want to invest more in this hobby. 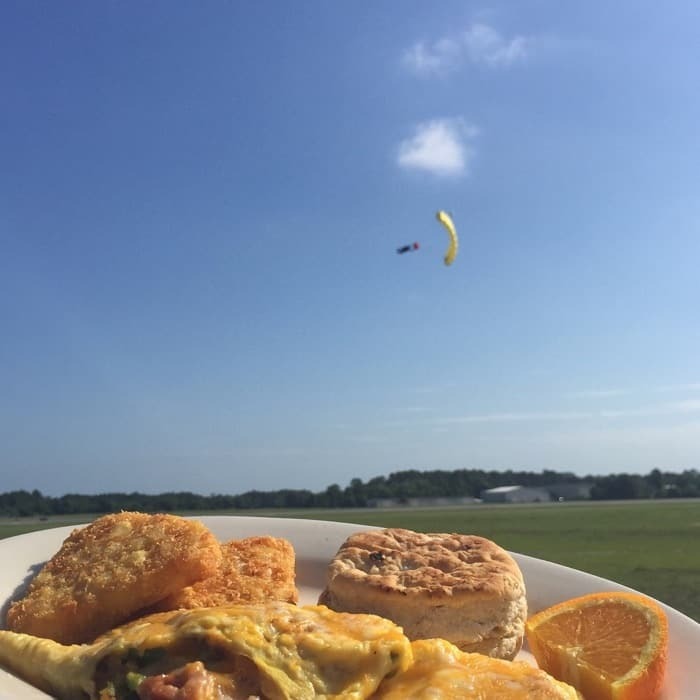 You can also enjoy watching all the action over a meal if you prefer to stay on the ground. 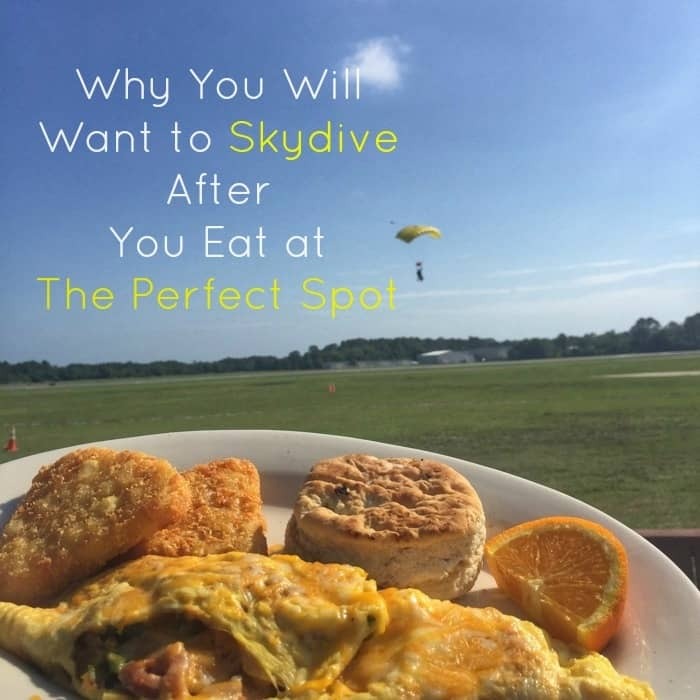 You can find out more about Skydive DeLand and the Perfect Spot Restaurant and Bar from their website. For skydiving reservations call (386) 738-3539. Thanks to the Daytona Beach Area Convention & Visitors Bureau for hosting my visit. All opinions are my own.